Volume 4, Edition 27 Trouble loading? View this email online. 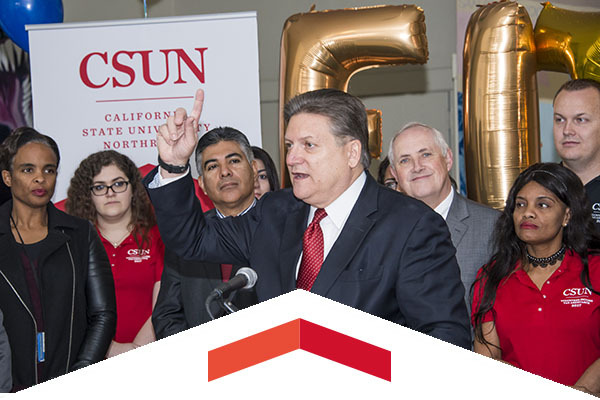 Sen. Bob Hertzberg has announced a partnership with Citi and CSUN’s Volunteer Income Tax Assistance (VITA) Clinic to help improve the financial situations of thousands of struggling low-income families and stimulate economic development in San Fernando by encouraging residents to take advantage of free state and federal tax preparation services offered by CSUN accounting students. 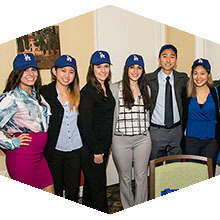 The CSUN Department of Physical Therapy, which has a longstanding partnership with the Los Angeles Dodgers Foundation and the Roy and Roxie Campanella Foundation, came together to celebrate the 20 CSUN students who received the Roy and and Roxie Campanella Scholarship for the 2016-17 academic year. 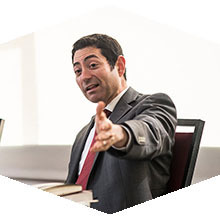 During a recent talk on campus, Justice Mariano-Florentino Cuéllar answered questions from CSUN students about his educational journey, the importance of diversity and the complexity of immigration issues. Thur, March 2, 6:45 p.m.
John Cassavetes puts a disintegrating marriage under the microscope in the searing Faces. Shot in high-contrast 16 mm black and white, the film follows the futile attempts of the captain of industry Richard and his wife, Maria. Fri, March 3, 8 p.m.
Aspen Santa Fe Ballet, America’s most revered contemporary ballet company, partners with VPAC in the second year of its residency to co-commission a new piece by Los Angeles choreographer Cherice Barton. Sat, March 4, 2 and 7:30 p.m. Seniors Emily Cole and Aaron Parks will play their final regular-season games in the Matadome as both teams prepare for the Big West Conference Tournament. Join fellow CSUN alumni attorneys for dinner on March 1 at 5:30 p.m. for networking and a guest speaker. There is no cost to attend and dinner is provided. CSUN alumni are cordially invited to participate in an evening with Health Administration professionals for a speed mentoring event. It’s like speed dating, but with students and mentors discussing industry and career opportunities. Purchase your tickets today for this special event, where influential Matadors Debra Hammond, Andre Chevalier and Christopher Holmes will be honored. Your attendance also helps raise money for scholarships. For the many CDS alums who are attending the annual California Speech and Hearing Association (CSHA) Convention & Exhibition in Pasadena, we have our third annual alumni luncheon.